Just last week myself and Josh took ourselves off into town with Harrison whilst Alfie was at nursery. We didn't plan to treat ourselves to anything, but I did, although I wasn't super spendy. 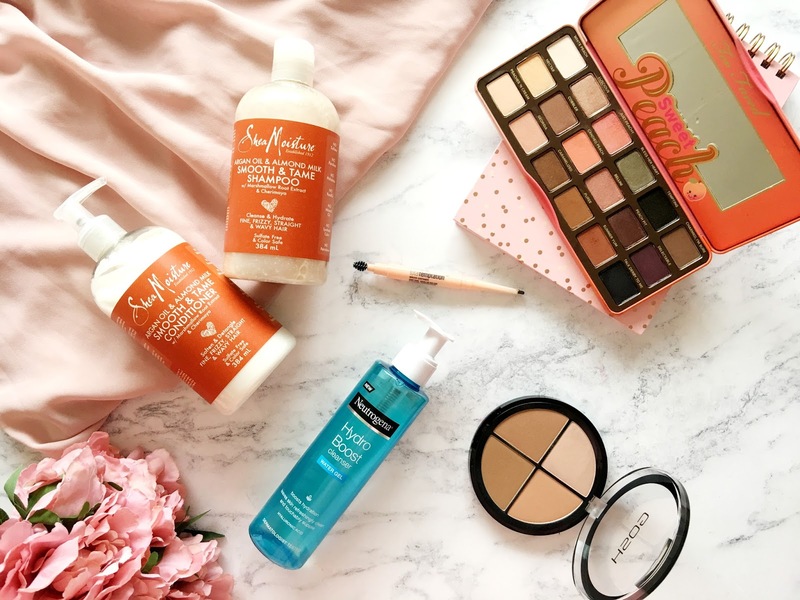 I popped into Superdrug to see if there was anything new or worth picking up and I ended up coming out of the shop with three things, all of which are from Revolution(previously known as Makeup Revolution). 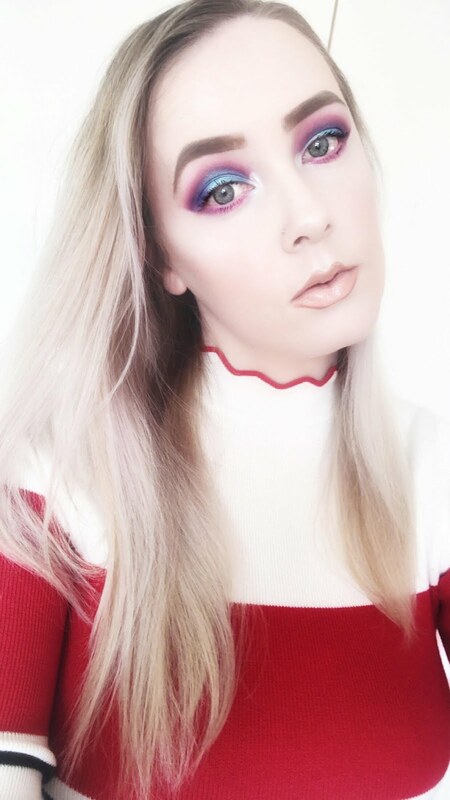 I don't make a habit of buying new makeup lately so it was a real treat for me, though everything I bought was really inexpensive. 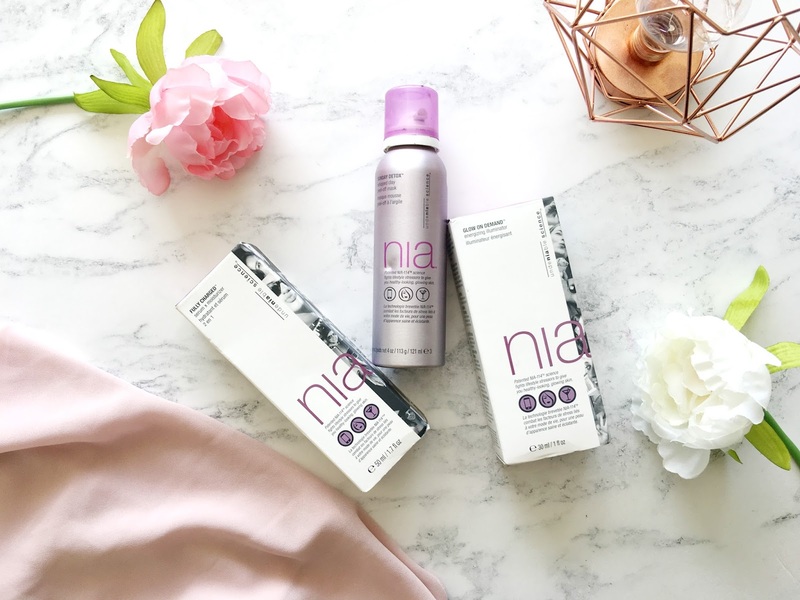 For the last few months now I've been trying out some new skincare from a brand I had never tried, nor heard of before called NIA(Not into Aging). They are an American brand which is currently stocked in Macy's and Ulta, and has only just made it's way to UK shores. 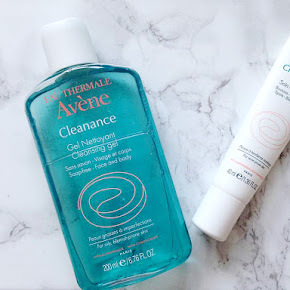 They produce a number of products which not only help to prevent the signs of early aging but are also made specifically to combat the stressors and effects of daily life, from sleeping in your makeup(which I've done multiple times, I'm ashamed to say) to late nights, hangovers and even looking down at your phone. Crown Brush | A Hit or a Miss? 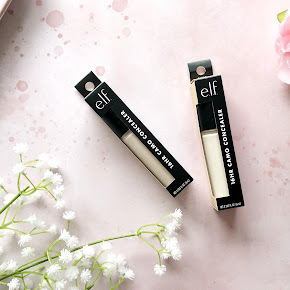 One thing that I really appreciate as a blogger is the opportunity to discover and play around with new products from brands I would never have heard about otherwise, and one of those brands are Crown Brush. The very first time I had heard of them was back in 2013 I believe, when I first started blogging(I know, it's been such a long time!). I always read such great reviews, but somehow I never really got around to trying anything out from them, until now. I'm sure most of you will have heard of Crown Brush by now, but if you haven't, well, here's the lowdown. 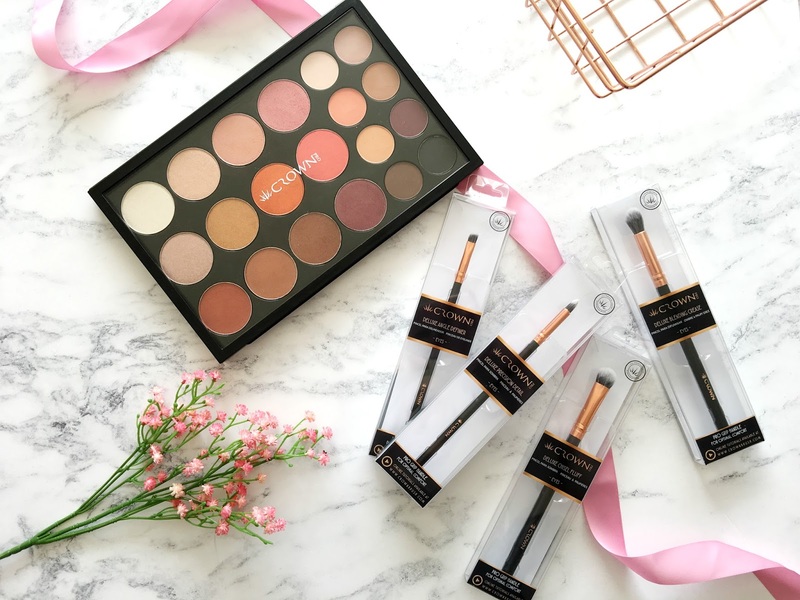 They first started off manufacturing brushes 35 years ago, but they also have a whole range of other products too, from makeup palettes to base products and even eyelashes too. There seems to be something for everyone. They are neither a high end brand, or drugstore. They sit firmly in the middle. The difference between Crown Brush and many other brands is that they're not only a brand, but a beauty manufacturer too, so the products that you're getting are coming directly from the manufacturer, instead of being distributed out, which means you get top quality products at a reduced price. Now that, I like. When it comes to makeup, I have quite the mixture of products in my collection, from the drugstore and high end. I am really not fussy, as long as the products are of good quality and do the best job for me. 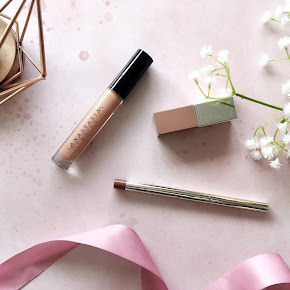 As of late I seem to be reaching towards a lot of high end makeup that I really do love, however my makeup routine doesn't purely consist of just high end. I do have some high street pieces too that I adore. 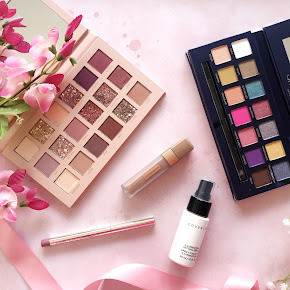 I know that buying from the higher end of the beauty market can be quite overwhelming as there's so much to choose from, and of course money is a huge thing too as things can be quite pricey, so I thought I'd share some of my favourite bits that I really truly believe is worth the money. A few weeks ago myself, Josh and Alfie, alongside my younger sister took a rare day trip out to Exeter, whilst Harrison spent some quality time with his grandparents. We had a wonderful time! Alfie made his very first Build a Bear and me and my sister shopped until we literally dropped. Retail therapy was exactly what I needed, despite being run off my swollen feet. For the first time I actually had some restraint. I didn't buy as much as I usually would, which not only surprised me, but Josh too. While I was in Exeter I spotted that there was a brand new Kiko Milano store. 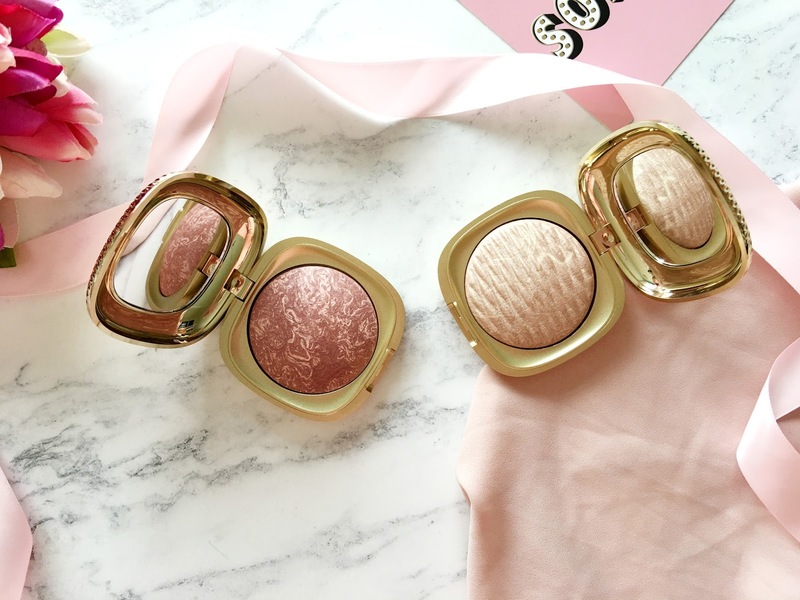 I have never tried anything from Kiko before, but they are a brand that I'd wanted to try this year, and alas I have. As soon as I entered the store, I was drawn to the first stand which was full of their brand new Summer Collection called Gold Waves. I pretty much wanted everything but I restrained myself and only bought two products from the collection. March wasn't the best month in terms of discovering new favourites. Most of the time I was using the same products. I have a habit of doing so, but I promise I'm trying. I find it so hard to detach myself from them, so don't be too surprised by the lack of makeup favourites compared to previous months. I also found that I was makeup free during the first half of the month too as it was quite a busy time. I just didn't really find the time to do much as I was just rushed off my feet, running errands, looking after the boys and having family time. It was quite a nice change to be barefaced and letting my skin breathe, although I cant really say whether my skin was thankful for it. It's been all over the place lately, and I blame these damn pregnancy hormones. 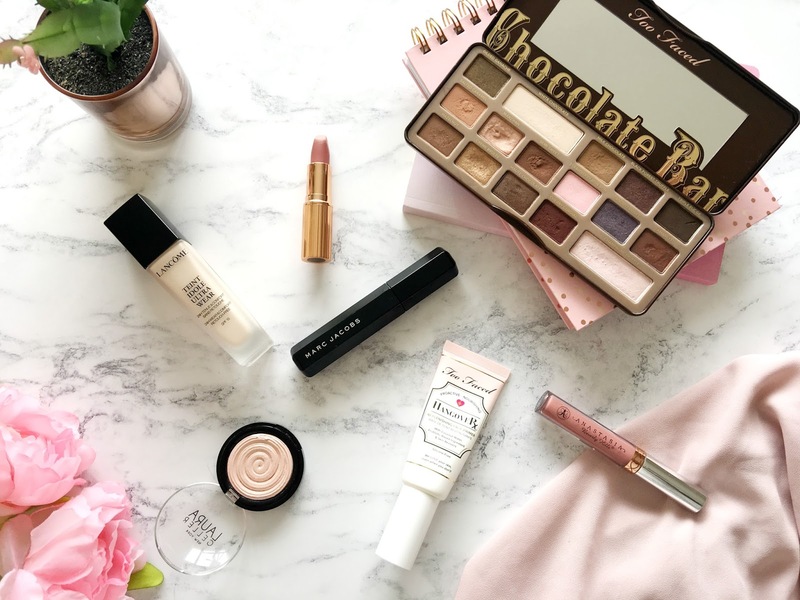 Anyway, without further ado, let's get into my March Beauty Favourites shall we? 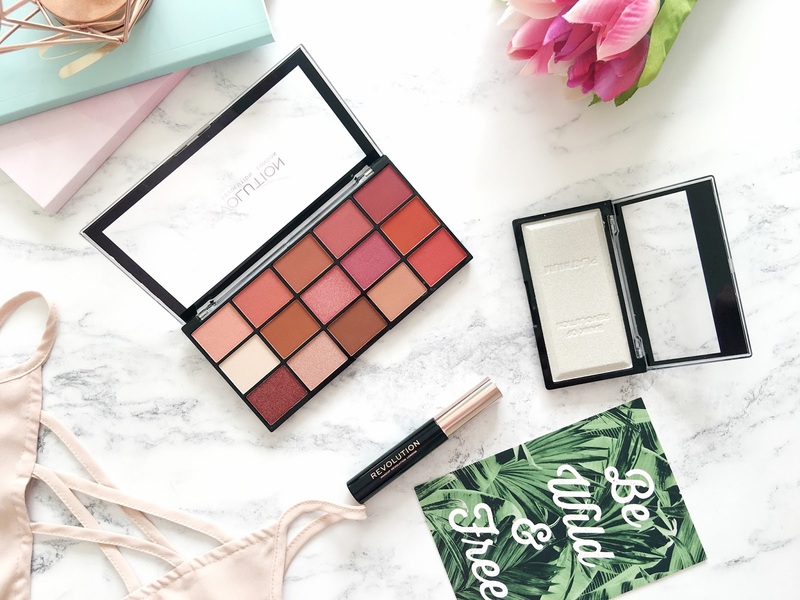 Back in February Maybelline launched their latest collection to date, the Total Temptation makeup collection, which consists of three products, the Total Temptation Mascara, Eyeshadow and Highlight Palette and Brow Definers. 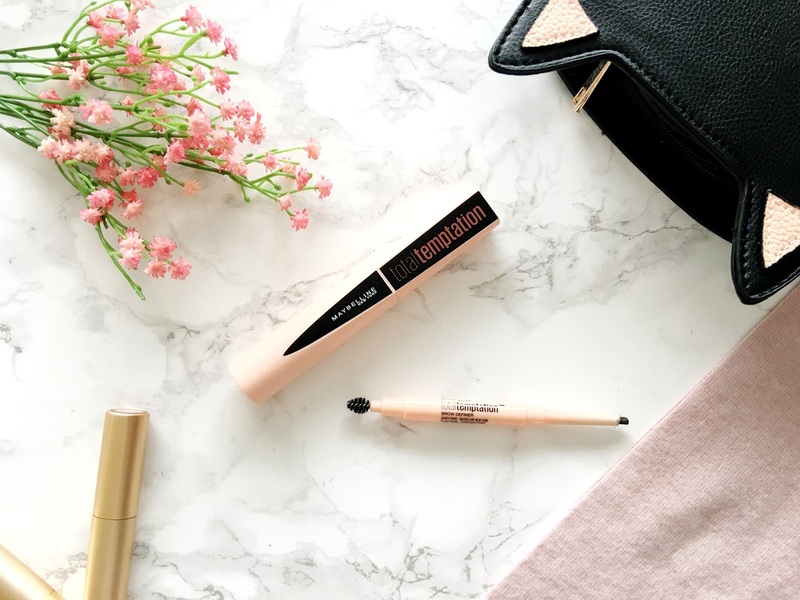 I have had the pleasure of trying out the Mascara and Brow Definer over the last two months, which has given me more than enough time to gather my thoughts together and report back to you.